HMD Global has just launched a few Nokia branded devices. 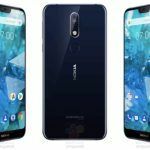 The company was to launch the Nokia 6.1 Plus for the European market. However, it unveiled the Nokia 7.1 and Nokia True Wireless Earbuds at the event. Also, one of the headphones is truly wireless and minuscule. 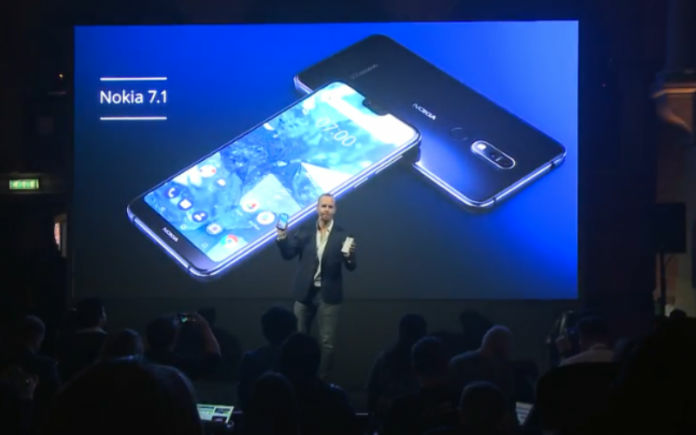 As expected, HMD Global has launched the Nokia 7.1 smartphone with the premium Carl Zeiss imaging solution that reportedly mimics the human eye. The smartphone features aluminum body that goes through multiple fabrication processes for toughness, durability and good aesthetics. Let’s look at the specifications, features, price and availability of the Nokia 7.1 smartphone. 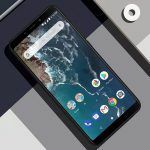 The Nokia 7.1 is a capable mid-range Android One smartphone that is suitable not only for personal use, but also for enterprise use that mandates high level of security. The handset will launch in two colors: Gloss Midnight Blue and Gloss Silver. The smartphone features a Full HD+ 5.84-inch notch display with 2160 x 1090 resolution and 19:9 aspect ratio. Nokia has introduced the PureDisplay technology in association with Pixelworks. A layer of Corning Gorilla Glass protects the display. The Nokia 7.1 packs the Qualcomm Snapdragon 636 chipset. 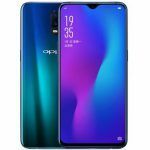 The SoC is paired with either 3GB RAM and 32GB internal memory or 4GB RAM and 64GB internal memory. The company assures the processor offers 40 percent improvement in performance and battery endurance. A dedicated micro-SD card slot takes up to 400GB card. One of the highlights of the Nokia 7.1 smartphone is the presence of Carl Zeiss optics for the front and rear camera setup. The smartphone packs a dual camera setup on the back. HMD Global promises the premium imaging solution with the 12MP + 5MP camera sensors on the back and 8MP front-facing camera. The primary rear facing camera sensor has an f/1.8 aperture, while the secondary 5MP sensor is paired with an f/2.4 aperture. The front-facing 8MP sensor has an f/2.0 aperture. All the cameras benefit immensely from Artificial Intelligence or AI-powered features. A 3,060mAh battery with fast charging capability powers the Nokia 7.1 Connectivity options on the smartphone include dual-SIM slots, 4G LTE, Wi-Fi, Bluetooth v5.0, NFC, and GPS with GLONASS. The handset also supports Smart amp with Qualcomm’s aptX. The Nokia runs Android 8.1 Oreo, but HMD Global has already developed Android 9 Pie update. HMD Global indicated over 70 percent content is consumed on the smartphone. 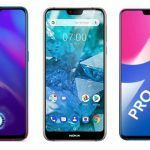 Hence, the company is promising HDR10 support and a unique SDR to HDR conversion technique using 16-Bit processing pipeline in the Nokia 7.1. Moreover, the display is able to dynamically adjust color, contrast and brightness to match ambient environment. Also, the display promises enhanced readability under sunlight. HMD Global assures the premium Carl Zeiss imaging solution deployed on the Nokia 7.1 mimics the human eye. Nokia is also offering a few unique features like HDR, live Bokeh mode, Pro Camera mode, Livestream functionality, and a Bothie feature that uses both the front and rear cameras simultaneously. The Nokia 7.1 smartphone is an Android One smartphone. 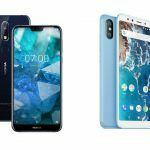 HMD Global assures the Android One ecosystem is “Pure, Secure and Up to Date”. 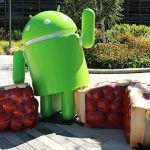 Also, the smartphone may have launched with Android 8.1 Oreo, but the Android 9 Pie update is under final stages of development. The latest build of Android 9 Pie brings with it AI-powered Adaptive Battery and Brightness features. Moreover, there are several other features like Digital Wellbeing and App Actions that intelligently predict user behavior. HDM Global promised monthly security updates for three years and OS updates for two years. Interestingly, the Nokia 7.1 is recommended for enterprise use as well. In other words, the smartphone can work well for personal and business use. The Nokia 7.1 smartphone starts at 299 Euros. This roughly translates to Rs. 25,000. The price is valid for the 3GB/32GB variant. The 4GB/64GB variant is yet to arrive officially. Needless to mention, this price puts the Android One smartphone in the mid-range Android segment. The handset will be up for pre-order in the U.S. on Friday, October 5. Incidentally, the official launch date is Sunday, October 28. Also, HMD Global promised the Nokia 7.1 will be officially available to the rest of the world next week. Hence we expect the smartphone may arrive in India shortly.